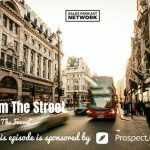 TSE 954: Sales From The Street: "Scary Cat"
When you pursue prospects but don’t get responses, it can be intimidating. We don’t want to lose those prospects, but we don’t know why they aren’t responding. 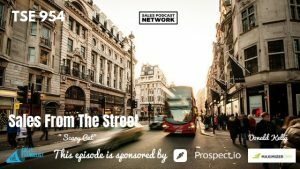 On today’s episode of Sales From The Street, we’re talking about loss aversion, and how it can be scary for sales reps to lose prospects, and also what you can do to get past it. It really isn’t so scary. The truth of loss aversion is that we’re often more concerned about losing something than we are about gaining something. Sometimes that fear can be detrimental because we don’t change. We stay with the status quo because it’s safe. It’s human nature. I struggle the same way in that I didn’t want my prospects to reply to my communications when I wasn’t there. I sold document management software to city and county governments, and the buying process is long when the government is involved. If I sent out emails to all the IT people and I didn’t hear anything back, I continued sending the same emails over and over. It was easier to keep sending those repeat emails to people I knew than to find new people. I was afraid that if I didn’t email them today, I might miss the day when they actually wanted to commit. If it’s not the right fit, move on. Out of the thousands of people who are in your market share, you’re probably communicating with about 60. You’re probably also guilty of thinking you have to keep them because they are the only ones. If that’s where your head is, you have a mad dose of loss aversion. You’re afraid of giving up stuff and moving on and trying something new. You’re afraid of trying something new and pursuing new prospects. Sometimes we have to let go of the things that are holding us back. There’s a fine line between persistence and hoarding. 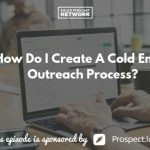 I use prospect.io for my cold campaigns because it’s simple. I can send a sequence of personalized emails that go out automatically on a scheduled sequence based upon certain conversion metrics. At the same time, I’m doing phone calls as well as taking advantage of snail mail. By the time I complete the process, if no one answers, then something isn’t right. It probably isn’t a good fit, so I move on. If I’ve exhausted everything I could humanly do but they aren’t raising their hands to say they are interested, I’ll push them aside to make room for others who might be interested. If those people do eventually come around, they know how to reach me because I’ve contacted them by every way possible. In the meantime, I’ll put them on a drip campaign. Now think of how many I would lose if I kept focusing on these customers instead of looking for new ones. One of my sales trainers told me you can never lose something you never had, and I’ve never forgotten that.